The problem of short selling is exemplified by the “legal theft” of Arrium Ltd which upon analysis wasn’t legal at all. 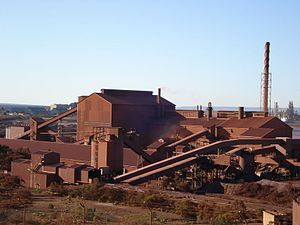 Arrium has its roots in BHP (the big Australian) and was “spun off” in the 1990’s as OneSteel at the same time as Bluescope. It is a 100-year-old asset of national strategic importance. Arrium Australia has 10,000 employees, of which 4,000 are employed in Whyalla and the nearby mines. Arrium had a diverse set of assets including in the east coast highly profitable mini mills, tube and wire mills, recycling plants and the OneSteel Metal Centre national distribution network. 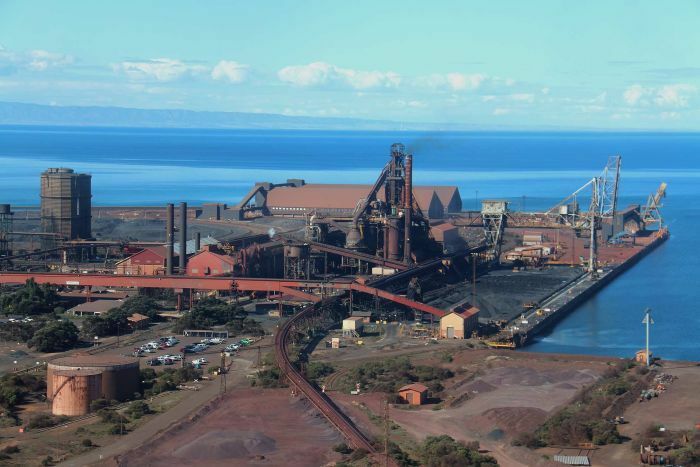 Arrium had 80,000 shareholders owning 2.94 billion shares before they went into voluntary administration (VA) in April 2016 owing $2.8 billion to creditors. The federal government failing to protect our local steel industry by not implementing anti-dumping legislation, allowing our markets to be flooded with cheap, inferior quality, Chinese and others imports, and poor decisions at Arrium board and executive level, such as to borrow and purchase the Southern Iron Mine at an overvalued price at the bottom of the commodity cycle. The mine was soon mothballed. However, these factors alone would not have caused Arrium to go into administration. A successful capital raising would have caused some dilution and short term share price decrease but Arrium would at least have had a future. The primary reasons Arrium was masterminded into administration are cleverly hidden. In September 2014 when the share price was $0.60 Arrium announced a $754 million capital raising. The capital raising price was $0.48 and on the first day of trading after the announcement, there were 37,582,199 shares short sold and the share price collapsed to 40c. When the offer closed the share price was $0.345. The capital raising was sabotaged by a combination of short selling and algorithmic trading. Broker trading programs were tuned aggressively to take down prices. It was accomplished the same way countless stocks have had billions of dollars removed from their market capitalisations i.e., algorithms being tuned to make artificial adjustments to prices in relentlessly forcing prices lower. review outcomes appear to be relevant factors in poor performance”. The reality was that the “disappointing” share price was almost all to do with predatory short sellers executing trades that conflict with the laws that govern the markets. That should have been obvious to the Chairman if he was on planet earth. With management like that, it’s no wonder that shorters felt safe to target Arrium. A related factor concerned the Banks who were involved in margin lending. Hapless clients of the banks who purchased Arrium stock on margin found that their shares were in turn lent out to short sellers. It was a bastardly act though perfectly legal. It epitomizes the corporate greed and lack of ethics that has taken over the financial system. It has become consumed by a culture of unmitigated greed. Just imagine the uproar if a bank retained that power in the case of a house mortgage loan i.e., they lend the house to someone who they know will vandalise it. It should be illegal for a bank to share knowledge about margin loans they have against stocks, with anyone. Industry super funds were also lending out large volumes of their clients shares to short sellers. administration due to its large debt. The administrators gouged $1 million per week to “save” Arrium. They sold one of Arrium’s prize jewel assets, Moly Cop for $1.6 billion AUD leaving debt at $1.2 billion. Then while Arrium was still in the hands of the administrators, there was a global and local steel cycle boom. This is the point where Arrium should have had its outstanding debt refinanced by the big four banks and then put back in the hands of shareholders. Instead, Australia’s PM Malcolm Turnbull met with the head of England’s GFG Alliance and made a secret back room deal. Later that month, Arrium had been sold by the administrators to GFG Alliance at a sale price rumoured to be $700 million. EBITDA at that time was $400 million pa. The sale price was not formally publicized. The administrator was then given a grant by the federal government to postpone a lodgement of financial returns until November 2018. The concession meant that no-one really knew the sale details or the likely improved profits that Arrium was making. Two weeks after Arrium was placed in administration, Christopher Pyne placed 50% tariffs on Chinese imported steel and after Arrium was sold to GFG Alliance, the Australian federal government began buying steel from Arrium for government projects. Arrium is yet another example of the exchange of wealth that occurs from ‘mum and dad’ investors to the corporate fat cats, with the ‘mums and dads’ left with nothing. would have spoken out about the manipulation of the share price. It was obvious that it was taking place. And as is usually the case, ASIC was nowhere to be seen. If those controlling the Australian government at that time had taken an interest in the welfare of Australia’s ONLY manufacturer of certain roll steel sections, they would have banned the short selling of Arrium shares. If our PM, a former investment bank broker wasn’t pandering to large foreign interests he wouldn’t have negotiated a secret deal which left many Australian shareholders in financial ruin. If the banks and industry super funds didn’t lend stock without the knowledge of the real ‘mums and dads’ owners whose assets were being destroyed in the process, the Arrium share price could be $3 now. If any one of these situations didn’t happen, Arrium would probably still be in the hands of its Australian shareholders and they would have done quite well out of their investment. If the Financial Review is to be believed, GFG Alliance now has annual earnings of $450 million to $500 million and it plans to list the Arrium assets back on the ASX. Morgan Stanley, the sale advisor who worked with the administrator when it was sold to GFG is in the box seat to do the listing. After buying the Arrium business for an estimated $700 million in 2017, the estimated price when it relists on the ASX is $3 billion. The business is likely to be pitched as a play on the infrastructure construction market with steel from the GFG Alliance network used to build motorways, railways and the like across the country. In “Unspoken crimes of the ASX Part 5” I named the infrastructure companies who are crippling Australia. It is very likely those same companies will be supplied steel from the GFG Alliance; another offshore company which has done exceedingly well out of its corporate sojourn downunder. It is a pity that it has come at the expense of Australia and Arrium shareholders while government and regulators have looked the other way. Theft is Theft, Walks like a Duck , Quacks like a Duck.